WordPress powers more than 15 million websites across the web and I’ve got news for you – not all of them are in English. In fact, one of the reasons the ‘Press is so popular is due to its availability in many languages and the ease with which it can be translated. What’s even more interesting is the fact that in 2014, the number of non-English downloads of WordPress surpassed the number of English downloads for the first time. Pair that with the announcement that WordPress plugin and theme directories will be fully localized, making them more accessible and fully translatable for non-English speakers, and it’s easy to see why it’s important to take the localization of WordPress seriously. If you make your living from WordPress, either by selling themes or plugins, then your work needs to support multiple languages. No ifs, ands, or buts. And if you happen to be the end user of WordPress themes and plugins, knowing they include support for your native language is an added bonus. So buckle up and get your translation tools ready. It’s about to get linguistic in here! The first is internationalization. Internationalization, or i18n for short (because there are 18 letters between i and n), is the process by which you as a theme or plugin developer prepare your theme or plugin for translation. WordPress uses the gettext libraries and tools for i18n. This means that no matter what language you use to develop your work, future users (or even developers) can easily translate it into whatever language is required. The second important term is localization or l10n for short (because there are 10 letters between l and n). Localization generally happens after internationalization and it’s the process in which your theme or plugin gets translated and adapted for use in a specific language. As a developer, you will only need to concern yourself with internationalization – making your theme or plugin ready for translation. While it’s not necessary for you to provide the translation, if you are multilingual, then by all means have a go at it. With these key definitions out of the way, we can move onto the nitty-gritty of today’s post, including how to install a localized WordPress version or how to convert your existing installation to a localized one; how to prepare your themes and plugins for translation; how to contribute to WordPress localization; and finally, we’ll take a look at some of the best plugins that can help you with localization. The WordPress core software has been translated into 75 different languages. The easiest way to install a localized version of WordPress is through your web host’s cPanel. Plenty of hosts allow you to choose the language WordPress is installed in. For most users, this option is usually the easiest one. If for some reason your host doesn’t allow for this, you will have to do the work yourself. To see if WordPress is available in your language, visit WordPress.org. If it is available in your language, you will see a yellow notification bar telling you so. Head over to fr.wordpress.org and download the French version of WordPress. WordPress should now be installed in the French language. If you need more guidance, be sure to check out our more detailed post on the subject, A Guide to the Best Ways to Install WordPress. Changing your site’s language in the dashboard. If you already have a WordPress website, chances are you don’t want to be bothered by installing WordPress from scratch. The easiest way to do this is to log into your dashboard, click on Settings > General, then scroll down to the bottom of your page to Site Language and select your desired language from the dropdown. Note that this will only change the language used in the backend of your WordPress site. If your posts are in English, they will remain in English. Your theme and any plugins you may be using will still be in English. An alternative way of localizing an existing WordPress installation is by downloading and uploading the .mo language file to your /wp-content/languages/ or /wp-includes/languages/ folder. You will have to create a new folder called languages in the wp-content directory. Replace fr_FR with your language and country code. The first two letters are for the language code and the other two letters are for the country code. Check out the full list of language and country codes. Once you’ve added that text to your wp-config.php file, WordPress will display the admin area in your language. 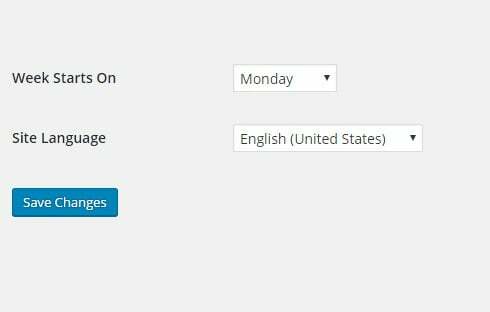 As with the previous method of changing the language in the Settings menu, only the WordPress administration areas will be in your language. You may still need to translate your WordPress theme or other plugins. Finally, if you absolutely dread the idea of tinkering with code, you can use the plugin called WP Native Dashboard. This plugin will allow you to easily install and enable WordPress in your language. Another perk is that with this plugin you can have multiple languages on your site, which comes in handy if you have multiple authors from different areas of the world. Translate WordPress is the place to go if you want to contribute to the polyglots team. While WordPress is available in many languages, some of them haven’t been fully translated yet. If you are multilingual, why not use your skills to contribute to WordPress localization. The first thing you want to do is head over to Translate WordPress. If you have an existing WordPress.org account, all you need to do is log in and start contributing to your language. Before diving into translation, you will want to check out the Translator’s Handbook, which will teach you everything you need to know about translating WordPress, from how to get started to best practices and expectations. After you have familiarized yourself with the handbook, there are a few different ways you can contribute. You can become a part of your local team if one exists already for your language. Or you can create a team. Choose the language you want to use WordPress in. 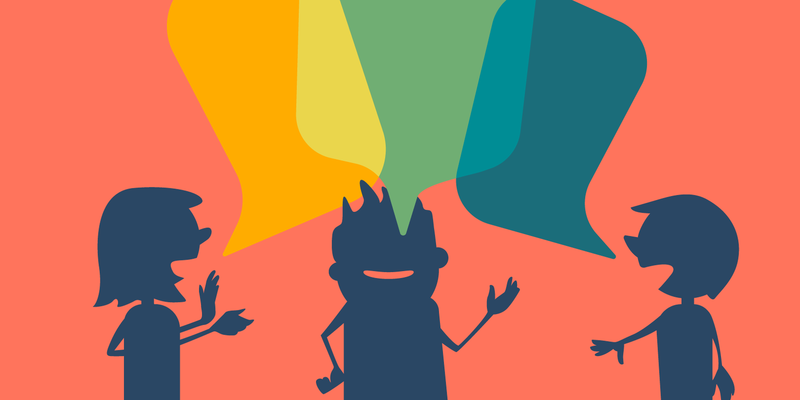 You can help translate WordPress itself, themes, plugins, or apps. Once you’ve decided on your translation project, you can start contributing to it by clicking on Contribute. You will then be presented with the strings that still need translating. So go forth and translate! Preparing your plugin for translation gives you a far wider audience than simply restricting it to one language or assuming that because it’s in English everyone will know how to use it. The first step is adding the translation headers to the plugin headers. The translation headers are the Text Domain and the Domain Path. The Text Domain denotes all text belonging to a plugin. It’s a unique identifier which ensures WordPress can distinguish between all loaded translations. The Text Domain must match the slug of the plugin. Essentially, this means if your plugin is a single file called sample-plugin.php or if the plugin is in a folder called sample-plugin the text domain should be sample-plugin. It’s worth mentioning that the text domain name must use dashes and not underscores. By default, WordPress searches the plugin directory for the translation files to use. If you leave the translation file at the root folder of your plugin you could wind up with a disorganized plugin structure. That’s why it’s recommended to create a separate folder for the translation files such as /languages. To inform WordPress about it, you need to use the Domain Path header. Now that the Text Domain and the Domain Path header are set, let’s look at how to internationalize a plugin. We’ll cover translating strings, using placeholders, HTML translation, handling plurals, dealing with disambiguation, and escaping translation strings. Repeat this for every string that you want to translate. If you don’t use placeholders, then you are leaving your plugin open to various vulnerabilities, such as translators mistakenly altering the variables or worse, replacing them with malicious code, which could ultimately lead to plugin malfunctions and overall site vulnerability. One of the biggest areas of confusion when it comes to HTML translations, is translating links. In some languages, you can have multiple plural forms unlike in English where you have only one plural form. This is where the _n() function comes in handy. Now, let’s break down what all of this means. The first argument we pass to the _n function is the text that will display when we only have one comment. The second argument displays the text when the number of comments is greater than one. The third argument get_comments_number() is a function that returns the comment count. Finally, the fourth argument is the translation text domain. The function number_format_i18n() converts the comment count to format based on the locale. Similarly, the date_i18n retrieves the date in localized format, based on timestamp. In some cases, one term can carry several different meanings and although it may be one and the same word in English it may not be translated the same way in a different language. In such cases, the _x or _ex function should be used. The _x() and _ex() functions come with an extra argument: $context. Using this method you will ensure that the translators see the two comment strings each in a different context and avoid the confusion. A full list of sanitization and validation functions and their explanation is available at the WordPress Codex. Once you have gone through every string in your plugin, the only thing left to do is to create the .pot file, which will allow other users to translate the plugin into their own language. By default, the official plugin repository has a tool for generating the POT file of a plugin which is located on the Admin page of every plugin listing. Once you upload your plugin to the repository you can click on Admin > Generate POT file and then Get the POT file. If you don’t want to use the official tool, you can use POEdit. Once you’ve installed it, you can create your .pot file. To do this, go to File > New Catalog. On the Paths tab, enter the path where the files can be found. Since we used the /languages folder in our example, you’ll need to enter .. (two periods). The :1,2 extension tells POEdit that these keywords consist of two parts: the second argument is the plural. When you include the “c” you’re telling POEdit the second argument is a comment. After that click “OK” and choose a place to save your .pot file. Bear in mind that it has to relate to the path you defined earlier. POEdit will now scan through your files and find all the occurrences of your translation functions and save them into your .pot file. Now you have the bare minimum for the internationalization of your plugin. If you know a different language and want to go a step further, you can translate all the strings that POEdit found and save the translation as the .po file. Once you save, POEdit will automatically create a .mo file alongside your .po file. Once you’ve prepared your theme or a plugin for installation and you want to use them on your site, you need to make a small edit to your wp-config file. We’ve already covered translation plugins here at WPMU DEV, so this time, let’s focus on plugins that help with preparing themes and plugins for translation. While POEdit is a great tool, there are a few plugins which allow you to translate, well, plugins, in your WordPress admin. For a more streamlined localization of WordPress themes and plugins, you can use POEditor’s WordPress translation plugin. With this plugin, you can manage the import and export in your POEditor translation projects directly from your WordPress dashboard. To use the plugin you will need a POEditor.com account which you will need to connect to the plugin after you have installed it on your site. Then enter the API key and you’re ready to start translating by creating a new project, adding a language, and assigning a language file. The plugin is free and there is a free account option on POEditor, however, you are limited to 1000 strings. Paid account plans start at $14.99/month. Loco Translate gives you a built in translation editor in your WordPress dashboard. After the installation, you will see a list of all the themes and plugins you have installed as well as any existing translations. Once you find the theme or plugin that you want to translate, simply click on New Language, and then Start Translating. PO Composer is a paid plugin available from Code Canyon. It’s not a localization plugin per se, rather it allows you to easily find new and not changed strings for translation after a theme has been updated. Basically, this plugin will prepare an updated translation file for you, where all the strings you have translated before will be added and then you can add in the strings that need to be changed or translated without having to start from scratch. The number of WordPress users is growing every day. And while a fair number of WordPress users understand English, ignoring other languages is downright foolish. Preparing your themes and plugins for localization ensures you reach a wider audience and it earns you bonus points with the end users. And that is a net win. Have you translated a theme or a plugin? Have you gone through the localization process? Let us know in the comments below.